Once every four months, I spend a week “cheating” on the weight room. For this week, I transition back to the activity which originally brought me into the fitness world – group exercise. As mentioned in my bio, I found group exercise after I quit competitive figure skating and it became my replacement activity. I quickly became an instructor and haven’t looked back since. While my goals have changed lately, I’ve kept my foot in the door because I can’t imagine not teaching. Previously I was teaching about 5 or 6 classes a week, and am now down to just 2 to allow me to have the time needed for my strength training program. 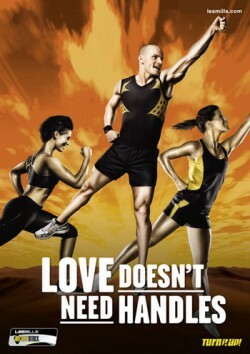 Getting ready for my first fitness love, BodyStep! Teaching classes opened doors for me I never would have found. Plus, it introduced me to so many amazing people in a city where I knew no one. 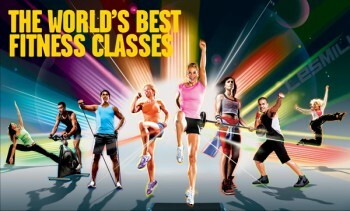 Every four months, we spend a week launching the “new release” from Les Mills. During this week, we team up to teach classes, resulting in teaching more than usual. This pulls me away from my training a little bit, and definitely adds more cardio than I’m used to doing outside of competition prep! But, it’s a fun week and brings me back to my first fitness passion. If you haven’t heard of Les Mills (LMI), they’re an international company based out of New Zealand who create and choreograph a variety of fitness programs which are used world-wide. In Canada, the gym I work for owns the exclusive rights to their classes, and it’s definitely a huge draw for members. The programs cover all aspects of fitness, from strength training, to cardio, to flexibility, providing something for everyone. An added bonus of this format is that if you’re travelling, you can head to a gym with LMI programs and know exactly what you’re going to get, as we all have to follow the rules. LMI is a pre-choreographed program. Instructors receive the new release about four weeks before it’s launched, giving us the time to learn the class. We get the music, a book of written choreography notes, and a video of pro instructors teaching the class. On the other hand, gyms without LMI allow their instructors to teach “freestyle” classes in which they are responsible for making up their own choreography – everything from finding their own music to creating the full class of exercises. There are pros and cons to both formats, depending on who you ask. Personally, I’m able to learn choreography really easily (thanks to years of skating, I assume) so working within the LMI family is ideal for me. While I don’t need to spend time searching for appropriate music, I have to spend time memorizing everything. This is probably a con for some instructors who don’t pick up on chorey very quickly. The biggest pro of LMI is that it’s created by a team of educated professionals. They have a physiotherapist on staff that previews and clears the exercises to ensure their safety. Classes are structured to be safe and effective – BodyPump lays out the tracks so that big muscle groups are targeted first, moving onto smaller groups. Cardio classes follow a formula to allow recovery at the right times, and switch the focus from high energy cardio to strengthening tracks as a break. Additionally, with their team of leaders, the creativity of the moves is far beyond what I could come up with (especially as this is a part-time job for most of us). 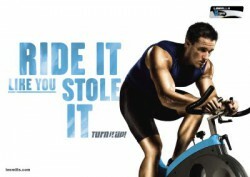 Takes the guesswork out of your workout – someone will tell you what to do! It’s social – meet new people who enjoy the same thing as you. As an instructor, it’s great to watch friendships form as members get to know each other. Accountability – once you become a regular in a class, people will expect to see you there, and will likely ask why you miss a class. You’ll push yourself – with the right instructor, you’ll be motivated to work harder and push through times you may give up if you were working out on your own. Health benefits – obviously, you’ll get the physical benefits of being active such as, increased energy, improved mood, better cardiovascular endurance, improved strength, and a self-confidence boost, just to name a few. If you’ve never stepped foot in the group exercise studio, don’t be scared. Everyone had a first class and got through it! Arrive early and introduce yourself to the instructor so they know you’re new. Every good class should include options for different levels of skill and fitness. As I like to say, it’s YOUR workout, so you need to work where you feel comfortable but challenged. And most importantly, HAVE FUN with it! Now, go sweat! This entry was posted in Education, Fitness, Health, Lifestyle, Motivation, Personal, Training, Uncategorized, Wellness and tagged athlete, athletic, bodyattack, bodypump, bodystep, cardio, exercise, fitness, fitness instructor, group exercise, group fitness, health, instructor, les mills, lifestyle, lmi, one tribe, release week, rpm, training, wellness. Bookmark the permalink.